NO TICKING This Wood clock is made solid wood and plywood. Unique gift will be perfect for anyone on any occasion like wedding, birthday or Xmas home gift ideas. 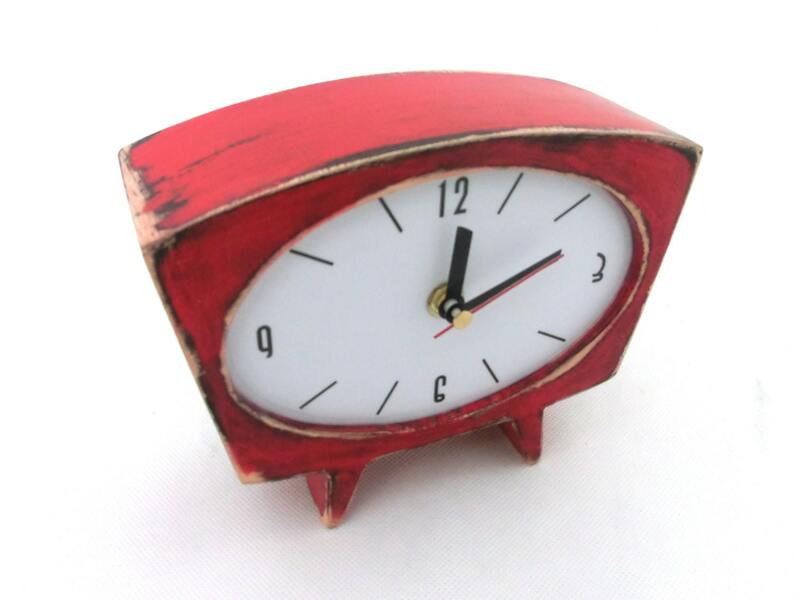 RED SILENT / QUIET clock is handmade and handpainted acrylic paint. 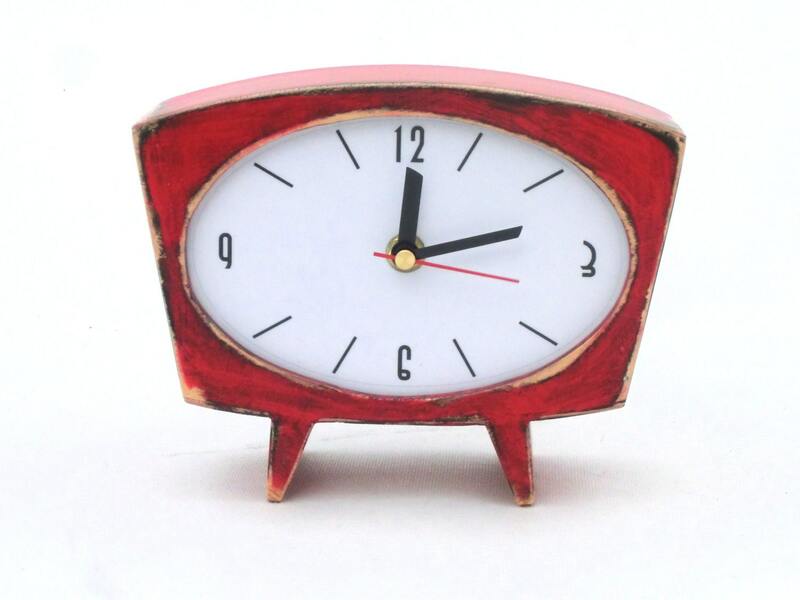 This 70s vintage style Table Clock is protected ecological varnish. 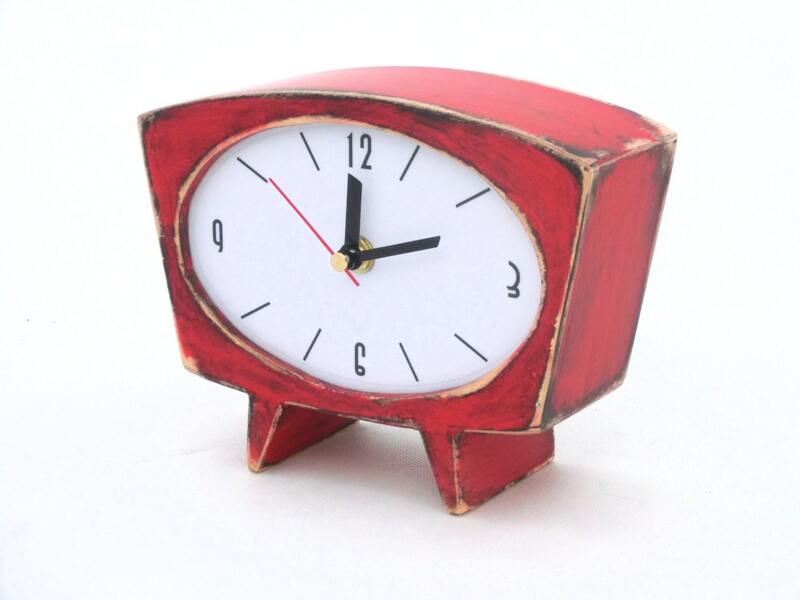 -The face of the clock is a printed in a printing house and UV-protected foil. 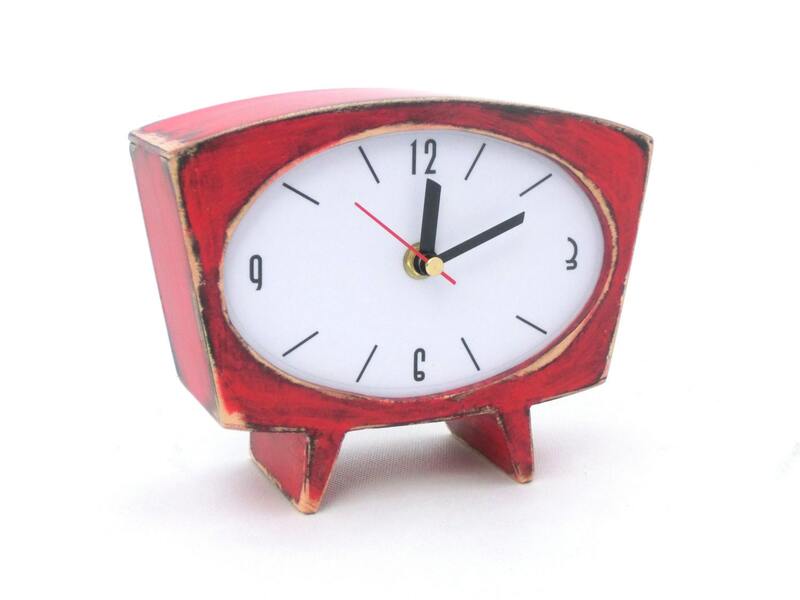 Cute clock! Lightweight but feels sturdy. Looks great on my living room shelf. Superbe pendule. On la dirait sortie d'une BD de Spirou.